Chlamydia and Gonorrhoea are two of the most commonly diagnosed sexually transmitted infections. Both infections are caused by bacteria, and the reason these STIs often go untreated is because often they have no obvious symptoms. Often the only way to check if you have been infected is to take a test such as ours. We recommend this test for anyone who is sexually active or those who suspect they may have a sexually transmitted infection. Our videoDoc medical director also recommend that all patients with symptoms should speak to a doctor before ordering an STI test if possible - that’s to rule out any other cause of the symptoms first. We get that it can often be a sensitive issue - and that’s why we are here to help. No test is 100% accurate and if you have concerns you should speak to one of our doctors. There is no ideal time to perform the test post exposure as whether it will detect an infection can be dependent on the organism and the extent of infection. We recommend waiting a minimum of three week prior to performing this test. Fortunately, to test for Chlamydia and Gonorrhoea you only need to offer a urine sample. We understand the importance of privacy when it comes to testing for sexually transmitted infections which is why our postal pack is unmarked and 100% discreet. 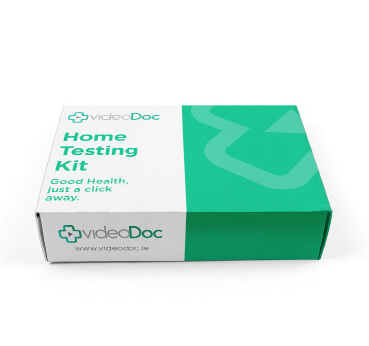 Inside the plain postal pack, you will receive a comprehensive step-by-step guide on how to collect your urine sample. In order to carry out the testing as accurately as possible, it is important that you follow the instructions very carefully. As soon as your results are ready, one of our videoDoc doctors will be in touch to talk you through your result and to answer any questions you may have. It is all part of our service!